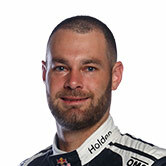 The Red Bull Holden Racing Team accepted Shane van Gisbergen’s penalty for a restart infringement despite being adamant that Scott McLaughlin contributed to the situation. 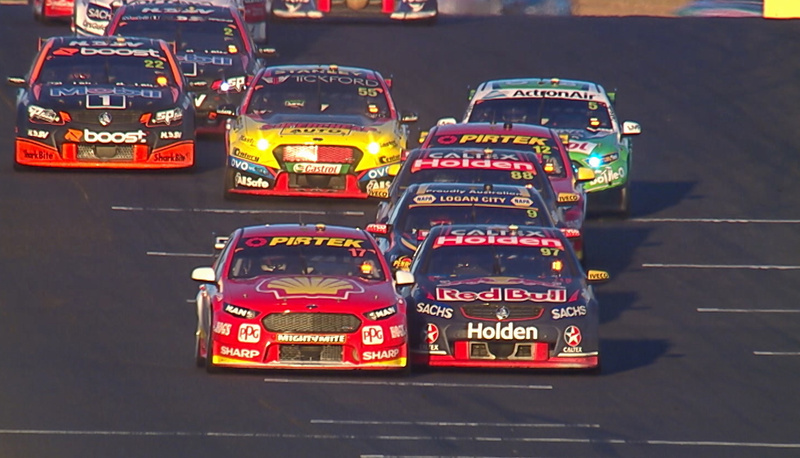 Evidence released by the judiciary clearly shows van Gisbergen overlapping with McLaughlin before the green flags flew, which is against the regulations. CLICK HERE for the full explanation from the CAMS Stewards. CLICK HERE for evidence released by the judiciary. 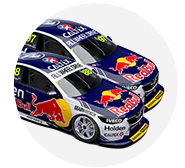 The Red Bull HRT argued, however, that McLaughlin was travelling too slowly at the time that van Gisbergen first created the overlap. Team manager Mark Dutton told Supercars.com he feels McLaughlin’s actions were a key part of what unfolded. “When we reviewed it with the in-car saying how could these mistakes happen, Scotty Mac was going so slow that Shane could have passed him if he wanted to,” he told Supercars.com. “80km/h is the prescribed speed and you have to be plus or minus five, you can’t be at 65. “The rule says in the driver’s briefing notes handed out this weekend that if a car fails to keep up it can be passed. By not doing 75 you’re failing to keep up. “They are two separate things and we accepted our part, but McLaughlin made a mistake as well by going too slow. “It’s clear. He wasn’t just slowing for the final corner, he was slow the whole time. Unfortunately lots of things contributed. Dutton did, however, praise officials for undertaking a second investigation into the subsequent turn 2 clash that saw McLaughlin’s penalty upgraded. “By them doing this secondary investigation of the first incident, that has set an awesome precedent for the sport,” he said. “Regardless of whether the penalty was increased or not, that’s the most important thing for me. 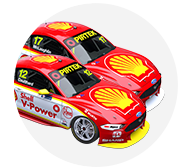 Shell V-Power Racing managing director Ryan Story told Supercars.com that he had no issue with the process of the final penalty being handed down in two parts. Whether he agrees with the penalty on the other hand, is another matter. “I think you’d be hard pressed to find anyone who cops a penalty that thinks it’s fair,” he continued. “The reality is that we’ll take our medicine and what’s imperative is that we continue to see consistency in the way the rules and enforced and penalties are applied. 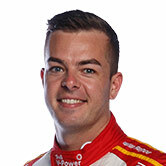 Dutton’s public assertion post-race that McLaughlin had “intentionally spun” Van Gisbergen as retaliation for what happened on the restart added to the friction between the squads. “I think that he’d nearly be on his own in that opinion, but everyone is entitled to their own,” said a typically measured Story when asked of the comments. “You can only measure a man by what he does. Scott made a mistake, by his own admission, and even before coming and seeing his team and congratulating his team-mate on a well deserved win he went straight to Shane to apologise and put it behind him. The revised Race 17 results have seen McLaughlin's championship lead over Jamie Whincup reduced to 42 points, with Fabian Coulthard now just 125 behind his team-mate. Chaz Mostert has meanwhile moved ahead of van Gisbergen into fourth as the Red Bull driver drops 267 points from McLaughlin.